Dare's fall from grace has been as dramatic as its new owner's rise to prominence. So what is Oliver and how can it revive the former digital gem? Maisie McCabe meets the man behind the swoop to find out. Sitting in his glass-fronted office in Oliver’s Shoreditch headquarters, Simon Martin comes across as a man who is rather pleased with himself. Not in a smug way, even though he has every reason to be. Since launching Oliver in 2004, Martin has grown the shop from just himself, his laptop and his phone into an international agency business with more than 650 staff across nine offices. And he has managed to keep out of the limelight all that while. But if Martin had wanted it to stay that way, he might not have plotted the bombastic move of buying Dare. All eyes are now on Oliver, the new owner of Campaign’s reigning Digital Agency of the Decade. That Dare was looking for a new home was not a secret. After all, it had split from its Canadian parent, Vision7 (which incorporated Cossette), at the end of last year. But that an agency many people in adland had never heard of was doing the buying – well, that was a surprise. So who or what is Oliver? The shop offers a range of marketing services to brands such as BMW, Britvic and Starbucks. It provides marketing teams with their own in-house agencies, which work within client organisations, thereby cutting out overheads and lengthy sign-off procedures. "Oliver is very smart in what it does," Pete Markey, the chief marketing officer at the Post Office, which works with the shop, says. "As a client, it’s a great way for us to get close to the creative process." Martin says this singular proposition came about as the result of an "epiphany". Since the recession began in 2007, he had been thinking about the Oliver offering. It was at the Marketing Forum conference one year, when he sat down to lunch with a prospective client, that Martin decided to try something new. He left out the studio services and marketing resource management Oliver offered, instead opting to simply explain the in-house agency concept. "I articulated this proposition to him and he got it within about 30 seconds and was really excited," Martin explains. "It was the fastest deal I’ve ever done. We had a team on-site within six weeks. It was an epiphany in the sense that this really resonated. I remember coming away and we debated the merits of what had happened, and realised that the clarity and simplicity of that proposition at that time, with everything that was going on, was the right thing to do." The client was the marketing director of GS1, the body regulating barcode standards around the world, which tells you something of the sort of agency Oliver is. The work created by its in-house agencies tends to be at the integrated end of the scale. Even Markey, who is a big fan of Oliver, concedes that he is "still not sold on the idea that you could do a big above-the-line campaign in-house – you still need the balance of an agency to do that". That an activation agency bought Dare could be seen as a sad indictment of its decline. Dare boasted more than 250 staff back in 2011 but only about 90 people will make the move from Fitzrovia to EC2 this weekend. During 2015, Dare said goodbye to senior talent such as Flo Heiss, John Owen, Toby Horry and Vassilios Alexiou. Whereas once Dare could insist on retained relationships like ad agencies, it now grows and contracts depending on projects. The rise and fall of Dare has been written about many times. The shop had a great first decade: Campaign named it Digital Agency of the Year four times and it won clients such as the AA, Barclaycard and Vodafone. 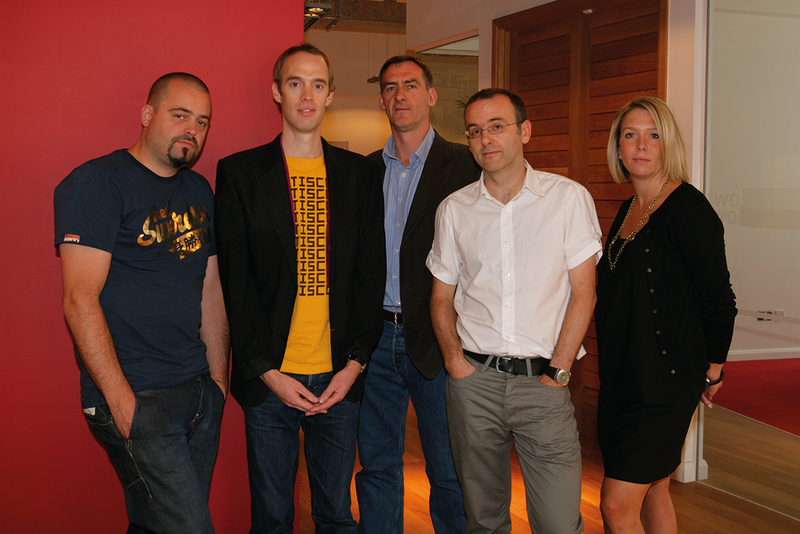 But, in 2010, its then owner, Cossette, happened on a spectacular plan to build an agency for the future. It would merge Dare, the darling of the digital agency world, with MCBD, the IPA’s Effectiveness Agency of the Year, to create the best of both. Dare launches as Dare Digital. Its work for Yell.com becomes the first digital activity to be named Campaign Pick of the Week. Bartle Bogle Hegarty buys a minority stake in Dare. Wins Campaign Digital Agency of the Year four times. Sells a majority stake to Cossette. Wins Campaign’s Digital Agency of the Decade. Cossette prepares to merge Dare with its sister ad agency MCBD, and unveils a six-strong management line-up. Andy Nairn follows fellow MCBD executives Helen Calcraft and Danny Brooke-Taylor out the door. They launch Lucky Generals the next year. Leigh Thomas appointed chief executive. Hires Sean Thompson as its chief creative officer, replacing Flo Heiss. Brian Cooper and Heiss rejoin Dare to work as creative partners alongside Vassilios Alexiou as it refocuses as a digital agency. Paul Hammersley, the chief executive of Dare’s UK parent, EDC, leaves and the business splits from its holding company, Vision7. Alexiou leaves Dare for Seven Seconds. The chief strategy officer, John Owen, steps down. Heiss leaves. Tesco appoints the former Dare managing director Toby Horry as its digital marketing director. Dare moves into Oliver’s offices. A Close-Up feature written to commemorate Dare’s tenth birthday in July 2010 predicted that the shop’s then imminent merger with MCBD "looks set to define its next decade". That was percipient – but not in the way anyone would have liked. Clients didn’t flock to the new model in the way that had been hoped and Dare’s supersized management team led to a lack of direction. The MCBD executive trio had left the agency by the middle of 2012. 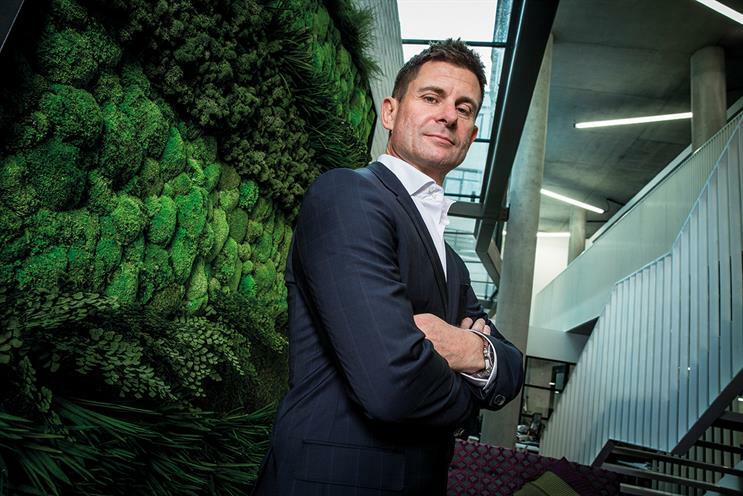 Leigh Thomas, the former managing director of Saatchi & Saatchi, arrived as Dare’s chief executive in 2013. She brought in Sean Thompson, the executive creative director of Arnold Worldwide in Amsterdam, to replace Heiss in a second attempt to create a digital-first agency that could own the big idea. But it only lasted 14 months. By August 2014, Heiss had returned to the refocused digital shop to work alongside Alexiou and Brian Cooper. Thomas concedes that, amid losses such as the Department of Health’s anti-smoking work and BMW, Dare has had a "difficult time in the past year". Despite this, Dare had "quite a lot of interest" from potential investors. When Martin first approached, Thomas says even she had never heard of Oliver but quickly saw the "yin and yang". "I’m still waiting to hear the downsides," she says. Martin says Dare’s decision to return to its digital roots was a "very good thing" and puts it in the context of wider turmoil in marketing. "A lot of agencies are changing their shape and size," he says. "Dare refocused its proposition. The consequences were that it is doing a more focused and even better job for its clients than it was doing in the past. Its staff are having a lot of fun and really enjoying what they are doing because they are very good at it." Alongside Thomas, the senior talent left at the agency includes the planning partners, Rachel Hatton and Mark Bell, the four managing partners and Cooper. Mark Collier, the non-executive chairman and founder of Dare, will become the first non-executive director of the Oliver group. Collier says he is "excited" about the role, which will span the main offering and Dare. He describes the in-house agency proposition, something Dare has also offered, as a "future-facing model". Thomas says Dare’s existing "Dare Inside" proposition will benefit from learning from Oliver’s proven commercial model for in-house agencies. But Oliver is going to help Dare with more than just business acumen. Martin says he wants to "invest heavily in its growth and development". Any departures from the agency were planned before the deal and Oliver is only going to be recruiting new talent at Dare. That will mean growing internationally as well in the UK. And Oliver certainly seems to be on the move. The day it bought Dare, the group also announced it had acquired Aylesworth Fleming, a property marketing agency. Both acquisitions build Oliver’s national footprint, ensuring it has more staff close to its clients around the country. While Oliver only had its London base, Aylesworth Fleming has offices in Bournemouth, Leicester and Manchester, and Dare operates Dare West in Bristol. "We believe not only in having people close to our clients by having our people in their world, but we also believe the other people in our group that support those agencies should be as near as possible," Martin explains. "We think being close facilitates understanding and trust, and a focus on delivery and being client-centric. We’ve got a great UK footprint now. We have five hubs from which we can support our in-house agencies." Martin says the acquisitions are born from his belief that agencies’ "only sustainable competitive advantage is the people [they] employ". He speaks articulately about needing to deliver sustainable client benefits, differentiation from competition and operational capability. Just as the agency changed to achieve those goals when it refocused on the in-house model, so it has again through these acquisitions. Oliver will now go directly to market as Dare or Aylesworth Fleming but also harness their capabilities for Oliver clients. For an agency that has not attracted many headlines, Oliver has some powerful admirers. "Oliver is making good headway right now," Peter Cowie, a managing partner at Oystercatchers, says. "It is capitalising on the growing demand from clients for in-house agencies and studios, and now looks to be a force to be reckoned with through the acquisition of Dare." If Martin comes across more like a business leader than an agency suit, it is probably because that is what he is. But, as Markey says, "if you want to keep in step with clients, being a strong business leader is 90 per cent there". With revenues of £42 million and expanding all the time, Oliver is a shop everyone should keep a closer eye on.